Below is home movie footage shot by Eva Braun. Photography was nothing unusual to Eva, who was a photographer's assistant when "Herr Wolf" (Hitler) met her one day in the shop. 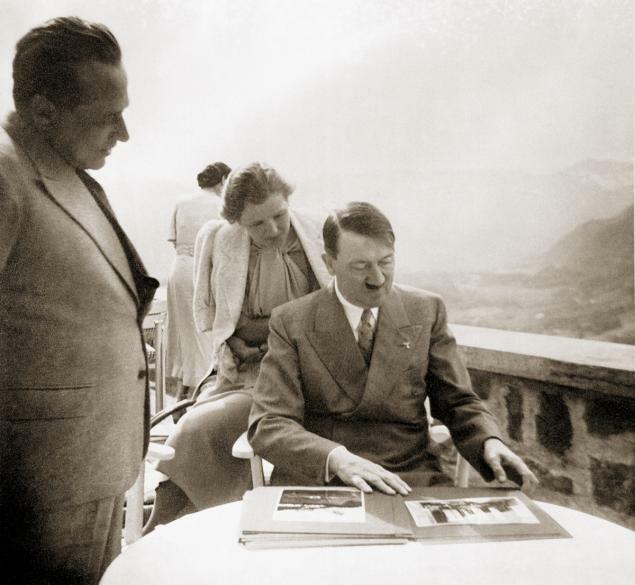 Hitler reviewing some of Eva's work at the Berghof. Her former boss Heinrich Hoffmann, to whom credit for many of her photographs was given, stands at left. Eva's film is in color, which is quite unusual for the time period. Color film was many times the cost of black and white film, both to purchase and develop, but no cost was too great for the Fuhrer's mistress. 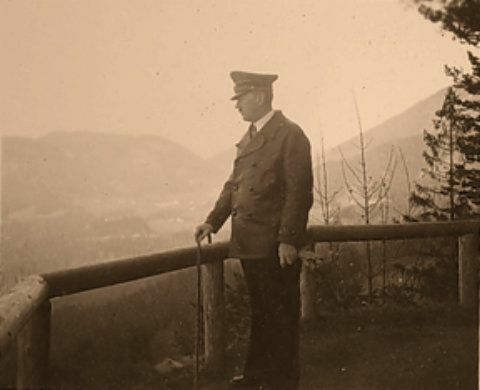 Because of that, we have exceptional footage of Hitler, Berchtesgaden, a cruise and other vacations that Eva went on, and Eva practicing on the parallel bars and going swimming and everything else that she liked to do. A selfie from Eva's personal photo album. Yes, she was that far ahead of her time. (National Archives). Eva was a big-time photographer and had unlimited access to her subject, much like, say, Linda McCartney and Paul McCartney. It is film taken by someone who knows how to use a movie camera. 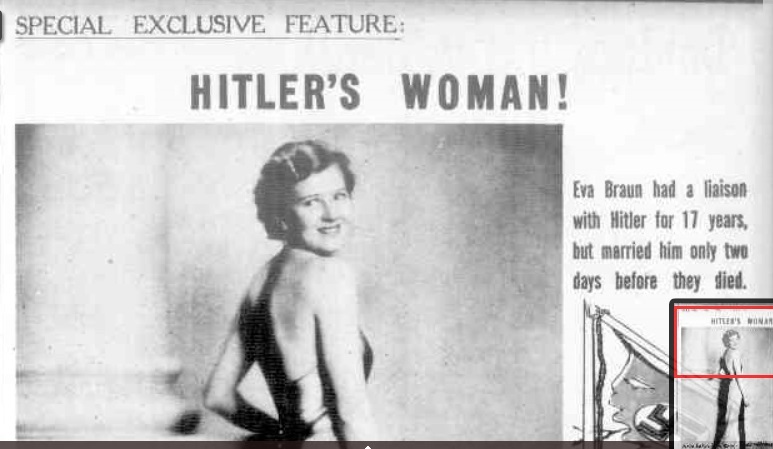 Eva could make Hitler "positively good looking"! Eva was a mystery to the world. Eva rather ostentatiously created (now quite helpful) title cards for the films, for unfortunately there is no sound. Home movie cameras of the time, no matter how fancy, did not yet have microphones - recall that talkies themselves were not even a decade old at the time of some of this footage. However, modern advances in lip-reading technology have deciphered some of the dialogue. Eva with her Rolleiflex still camera. Seriously, these films look like they were only shot ten or twenty years ago, not at a time when virtually all Hollywood films were shown in black and white. Some scenes are also in slow motion, which did not become a television network staple until the 1970s. 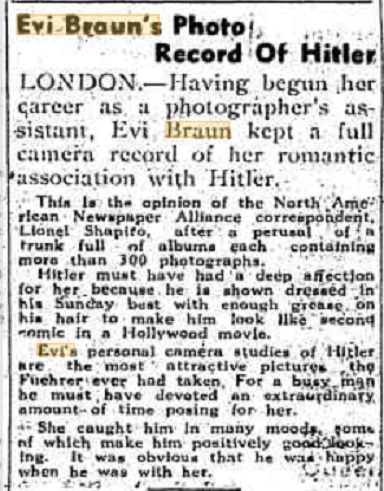 Evidently, Eva had studied the work of Leni Riefenstahl, who had pioneered the technique in her documentary of the 1936 Olympics, "Olympia" (1938). Eva had access to anything that she needed, and the German film industry was at its peak despite defections to Hollywood of some of its most legendary talent, such as Marlene Dietrich and Ernst Lubitsch. Eva took this snap at the overlook on the way to the teahouse on the Obersalzburg. 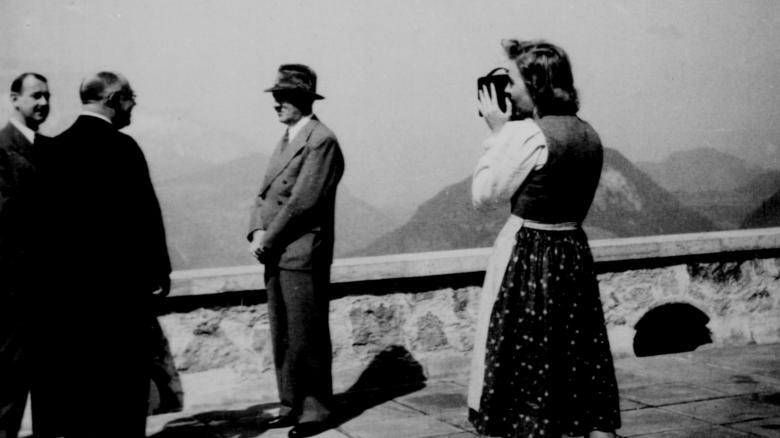 "Miss Eva Braun shows us some color movies that she filmed on the Obersalzberg in the last years. One saw the Fuehrer still in peacetime. I’ve never seen him so relaxed on film before. You also see the difference in the Fuehrer between the films of 1939 and then from 1942. You really see how the Fuehrer has changed during the war. Then he was still a young man, during the war he’s become more and more old, and now he’s quite bent over. But despite that, his moral steadfastness and determination is inexhaustible." 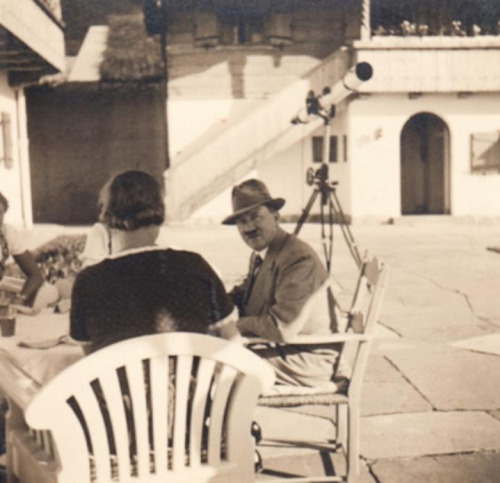 An extremely rare shot of Eva Braun's 16 mm Siemens film cine-camera casually lying on the table. The films have a very convoluted history. Eva, of course, flew to Berlin (against Hitler's orders) in mid-April 1945 on one of the last Lufthansa flights of the war before they were suspended. She left behind at the Berghof her reels of film, simply piled in one of her rooms. 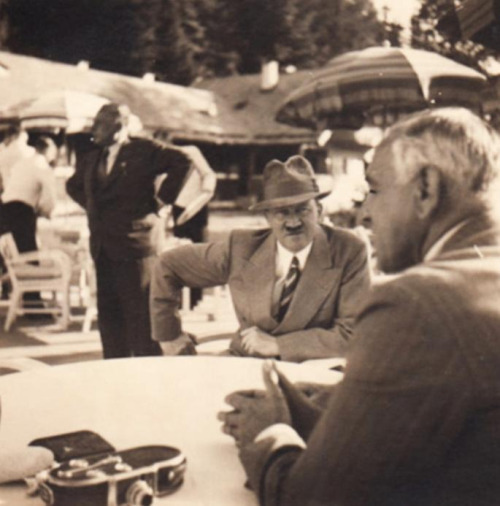 Eva (likely with her back to the camera) had great interest in advanced optical equipment, as evidenced by the telescope set up behind Hitler. Eva had a very imaginative mind which many did not appreciate at the time. When the US Army liberated Berchtesgaden a couple of weeks later, they found piles of canisters of unmarked film. Fortunately for posterity, it somehow had survived the USAAF bombing of the Berghof on 25 April 1945. 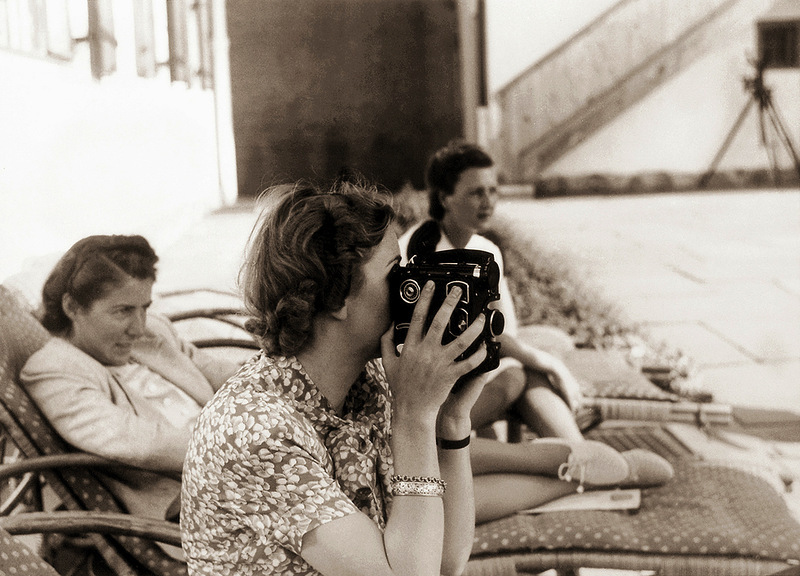 Eva with her very professional film equipment at the Berghof. The US Signal Corps took the canisters away and sent them to the National Archives and Records Administration in Washington DC. Nobody apparently bothered to look at them or do anything with them but throw them into a warehouse. There they sat, gathering dust for decades, un-noticed and unwanted. Eva with one of her movie cameras. Apparently, she upgraded from time to time. Also - notice the tripod in the background. Nobody was interested in the films, and they were completely forgotten. Nobody, in fact, even bothered to catalogue them. 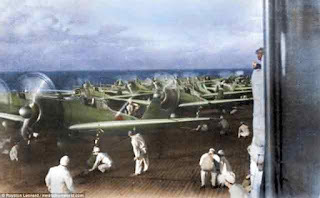 They were simply thrown in with other war films - primarily Japanese - and left to rot. Note the camera at Eva's waist. She apparently took it with her almost everywhere. However, they remained in absolutely perfect condition. That is fortunate, for many films of the time degraded or even burst into flame and caused fires. A German film-maker, Lutz Beck, tracked the films down in 1972 after finding a photograph of Eva holding a movie camera. 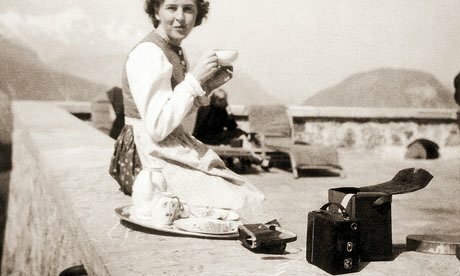 Until then, nobody even knew that Eva had taken any films, though there were a few photos known of her holding a film camera. Beck found the Braun cannisters piled with other films in an old aircraft hangar in Maryland. It was where the Signal Corps had dumped the films in 1945. He restored them, and showed them to the public. People were revolted. The experience scarred Beck. He did a service to posterity that we now appreciate. 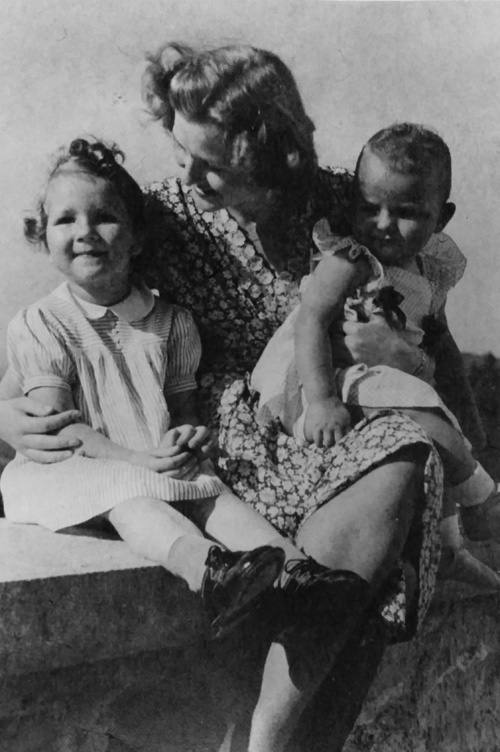 Eva Braun with Uschi and Gitta Schneider on the Berghof terrace. This image was included in pages of Herta Schneider’s photo albums and cataloged as such in the National Archives. Most likely it is a self-consciously posed selfie, but it is difficult to call this "propaganda" because it was never intended for distribution. Now more time has passed since Beck found the films than had passed then since the war. Nobody is forgetting the horrors of the Third Reich, but there is the possibility of a less visceral reaction to the films for historians and others, a more analytical approach. The films are all reproduced and available for purchase on various sites. Several hours are available. I have placed some samples below, though of course they could be presented better. 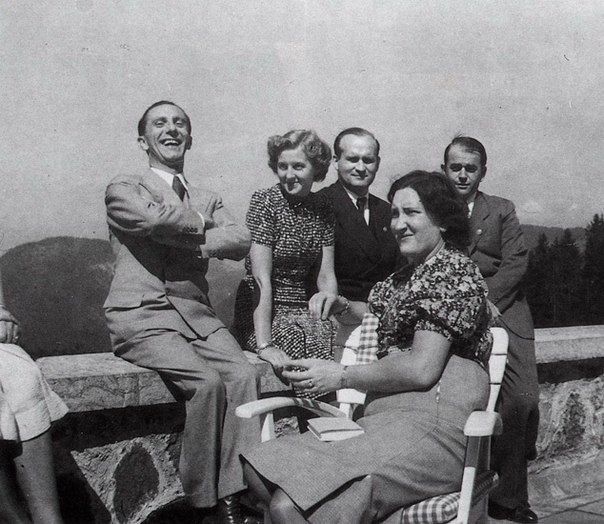 Speer, on the far right, was a sourpuss when it came to Eva Braun - and he was dead wrong in his assessment of her. 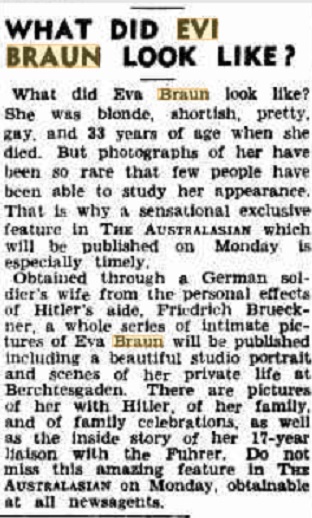 Albert Speer, Hitler's architect and Armaments Minister, once said that "Historians will be greatly disappointed by Eva Braun." She was the most modern one of the bunch, taking selfies and relaxing her subjects with her free-spirited demeanor so that they revealed completely different dimensions of themselves. 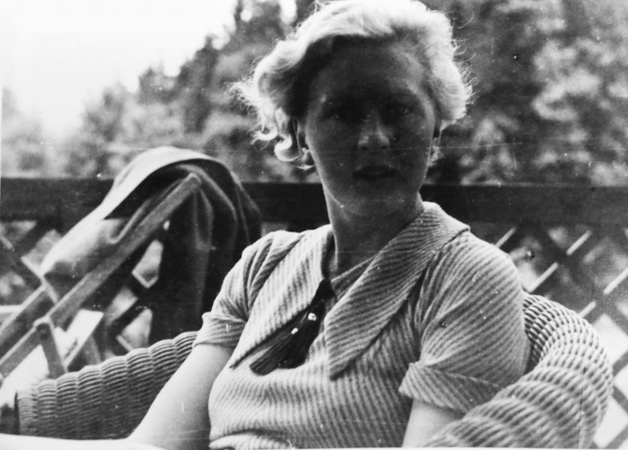 Speer failed to see that the video record Eva Braun left behind, which could have been lost to bombs or neglect or simple ignorance, made her immortal. I have the camera of Eva Braun. I have some photos where she is watching it. I like to send a few photos. One finds no pictures of this camera I have. 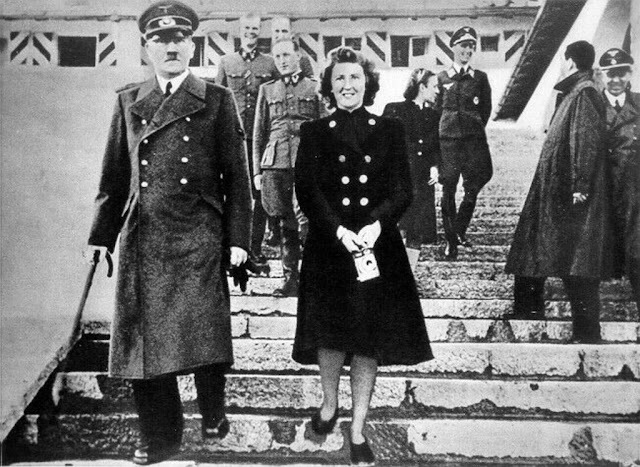 Only photos with Eva Braun with my camera. Hello, here is my video on the camera by Eva Braun. Great job! I really enjoy that. 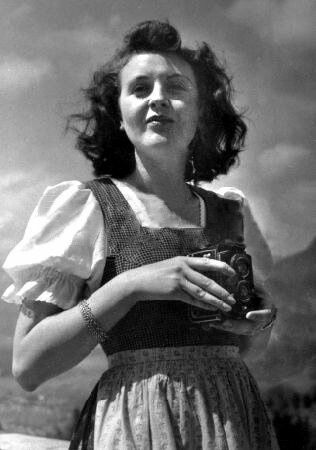 I am interested for the life of Eva Braun and her camera. Would be nice if they could spread the video further so that more people can see it. notice that in one film, lady diver in bathing suit dives wearing shoes with heels.